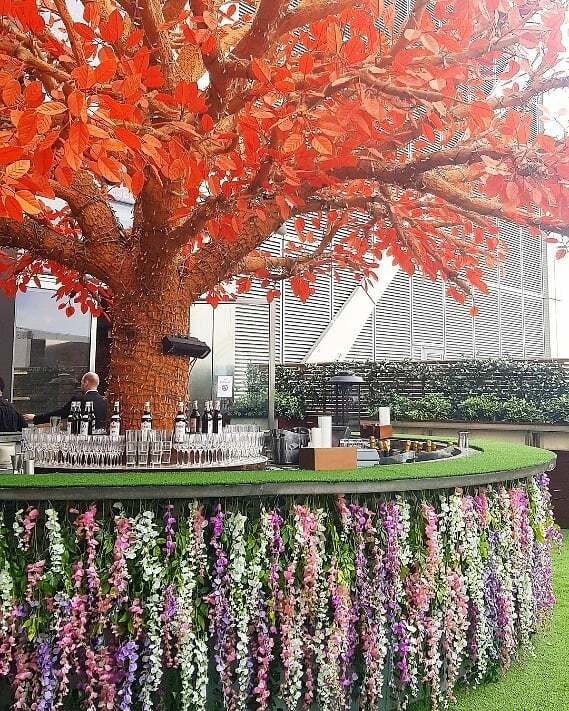 This summer FullCircle were on-hand to design, theme and style Sushi Samba, one of London’s leading Pan-Asian restaurants, into a spectacular English-garden party setting. Taking over Sushi Samba for the third year running, guests of a world-class bank enjoyed a multi-sensory experience. 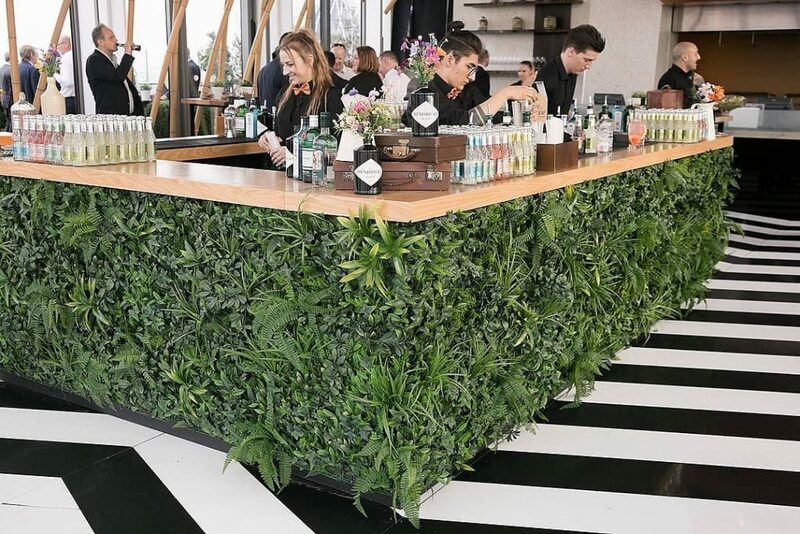 Our design team created elements which included a carefully crafted, beautifully bespoke foliage bar, turfing the entire terrace of trees and theming the outdoor space with enchanted garden props and dressing. Soaking up the lingering sun of a late July evening, attendees took in fresh botanicals, wonderland-esque theming and performances from living statues the ‘Hedge Men’. 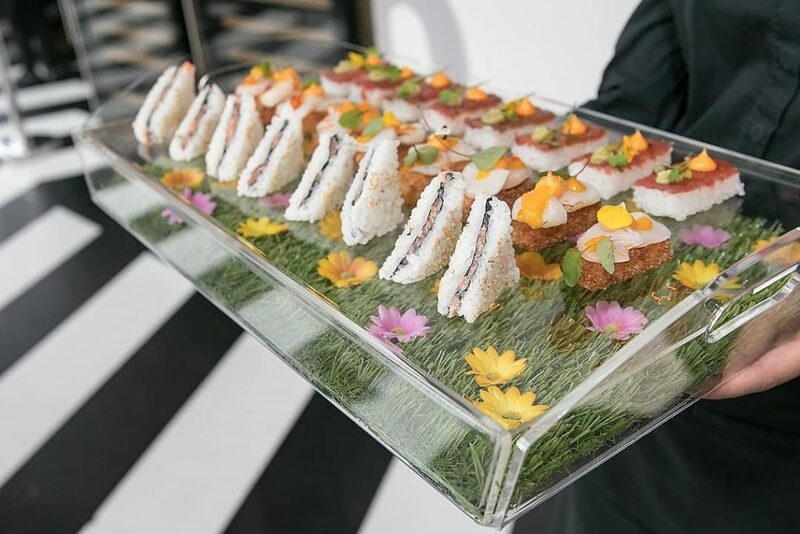 What’s more, FullCircle also worked with the Head Chefs to develop a tailored serving platter solution to heighten guests dining experience. Finally, to top the night off, the team sourced unique bottles of English gin for the bank’s loyal customers in attendance to take home in gift bags. 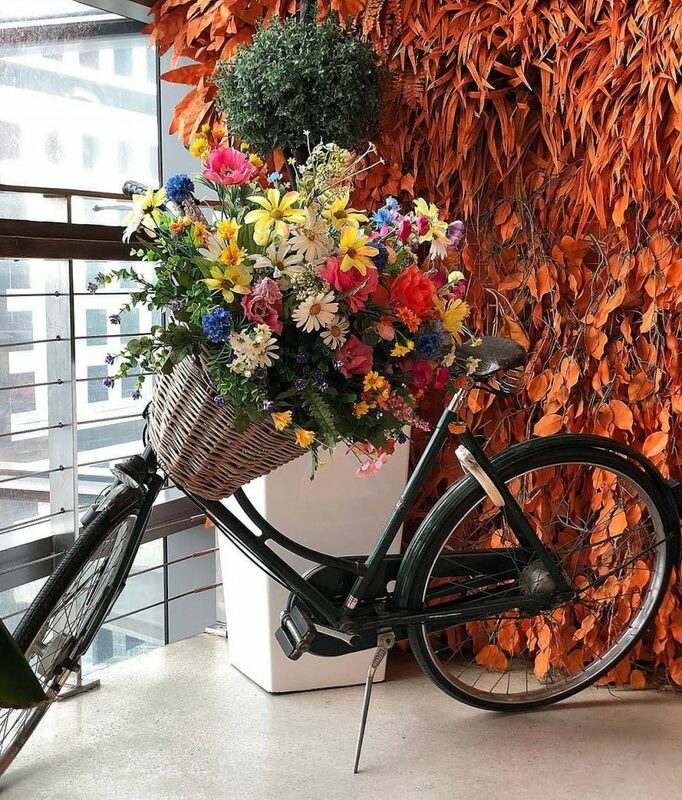 Our trusted relationship with Shushi Samba meant they had complete confidence in our project management team to master the logistical challenges of transporting all dressing, props and furniture to the venue’s 100m-high location. FullCircle ensured all elements of the event’s look and feel were pulled successfully together and delivered seamlessly.